Are you looking for a way to try trending new dresses like salwar suit design, Salwar kameez or designer suits? Use unique Salwar Suit Photo Making the app, you can try different women dresses on yourself. This does not require you to try these dresses in real. It is a great way to help women try women traditional dresses with clothes shopping. Women can try a huge collection of wedding dresses, latest Kurti design, ladies suit or wedding kurti instantly and imagine themselves wearing these dresses. This is a unique app to help women with their clothing shopping. Dress changer app can help a girl to try out latest girls frok suit and ladies suit neck designs from a huge collection of latest designs. Incredible photo maker app to help you make your dress shopping experience incredible. Salwar Suit Photo maker is a unique dress changer app that gives women a flexibility to see themselves in different designer suits without the hassle of wearing it out. Now forgot wasting your time and money visiting far away from shopping malls and look for traditional or Indian dresses while carrying a heavy handbag. With this amazing salwar suit photo maker all you need to do is click a complete picture of yourself through the app frame and try latest salwar kameez designs of your preferred color, pattern, size, and shape to find in which you appear the most beautiful. Use this photo making the app for fun purpose with your friends where you can change as many costumes as you like with just a click. You can also adjust the photos through its unique and interesting editing features to make sure the pictures look completely original. 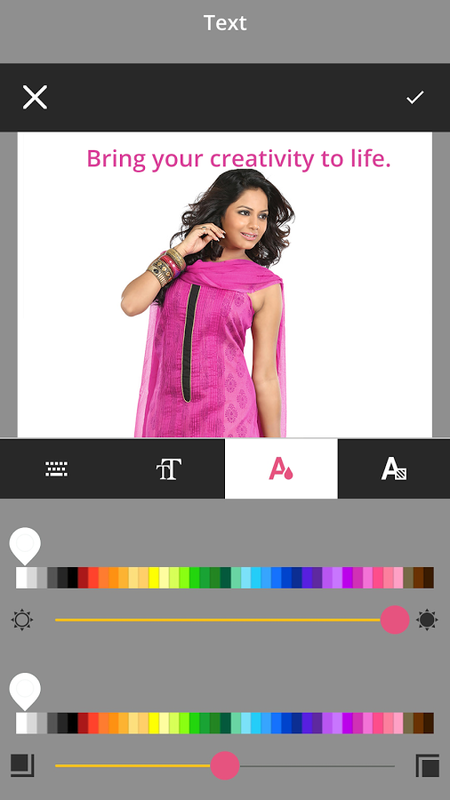 we are constantly working hard on making this “Salwar Suit Photo Making” app better and more useful for you. Please feel free to email us for any queries/suggestions/problems.